How did Steve "Woz" Wozniak (founder of Apple) get me started in photography? A couple of nights ago I posted a photo of Steve Wozniak (Woz) and I on Facebook and Instagram. 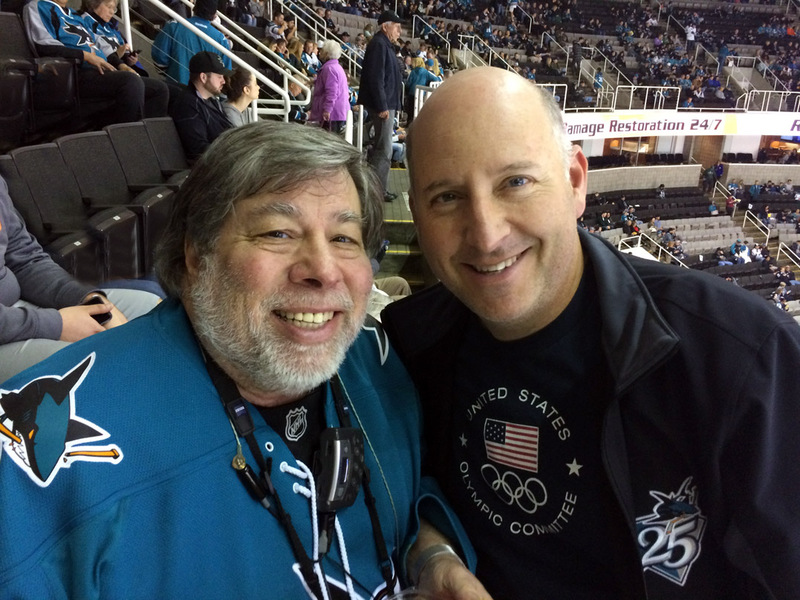 We were at the San Jose Sharks game. I credited Steve for getting me into photography, and a lot of people said that they would like to know the story behind this. Well...back in 2010, I posted a blog about this. Here is a repost from back in 2010 when I told the story. I think that the camera sold then for about $1500 and the LCD was an option. The camera used the old SmartMedia cards and I think I had about 5 of the 8MB (not GB) cards. Woz gave me one of these cameras and the rest is history. I was amazed at the immediacy of digital photography and used the camera often. After that, Woz and I would make numerous trips to Japan to shop for the latest and greatest digital cameras at Akihabara (electric town). Those trips were fun! * As much as the cameras have changed, I am still using some of my lenses from 8 years ago. * I still love sharing my photos and stories with you all, here on the blog. You have seen 10 blog posts about our amazing safari in Tanzania with many stories about the animal, people and places. But you have not seen all the photos put together. Well...you will now. 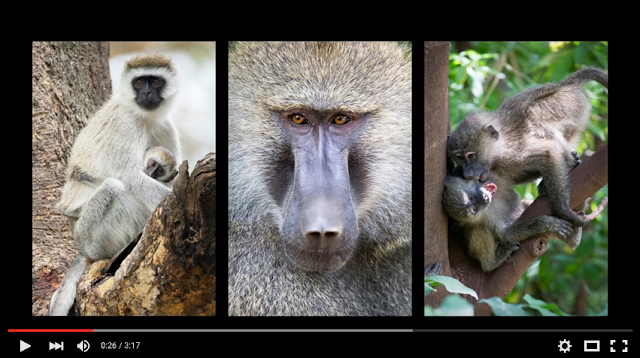 My friends at Photodex helped me put together a really cool video of all my favorite safari images. But before I share the video with you, I thought I would tell you my favorite part of the trip, some recommendations for those of you who might be doing a photo safari one day, and even my workflow for the trip. I am going to start with the number one question from everyone when I returned back home. They all wanted to know, what was the best part of the trip? At first it was difficult to come up with a single thing, since everything exceeded my expectations. But after taking some time to let it all sink in, it occurred to me that the best part of the trip was the simplicity of life in Africa. The people who live in Tanzania have very little, but are very happy. I found that 2 weeks of no television, no radio, no news coverage and limited cell phone usage was what I liked the most. And this is coming from me, the man who loves technology. It was so great to be unplugged! There were many times when I could have plugged in my earphones and listened to music from my iPhone, but I chose to listen to the sounds around me. Not being distracted by the world back home, I could truly focus in on the amazing subjects we photographed every day. And there were times when I would put the camera down and just soak up the sites around me. Before leaving for this trip, I was a little hesitant about staying in tents for this length of time, with minimal power and showers that had to be filled by the workers. But as it turned out, the tents were my favorite places to stay. It was definitely "glamping" and then some, with flushing toilets and outstanding meals. Staying in these tents made me feel more connected to the surroundings. If I had the choice to stay in the Four Seasons or a tent, I would take the tent any day. People have also asked me what was the most surprising thing I saw, and I think it was the Maasai boys with their faces painted. 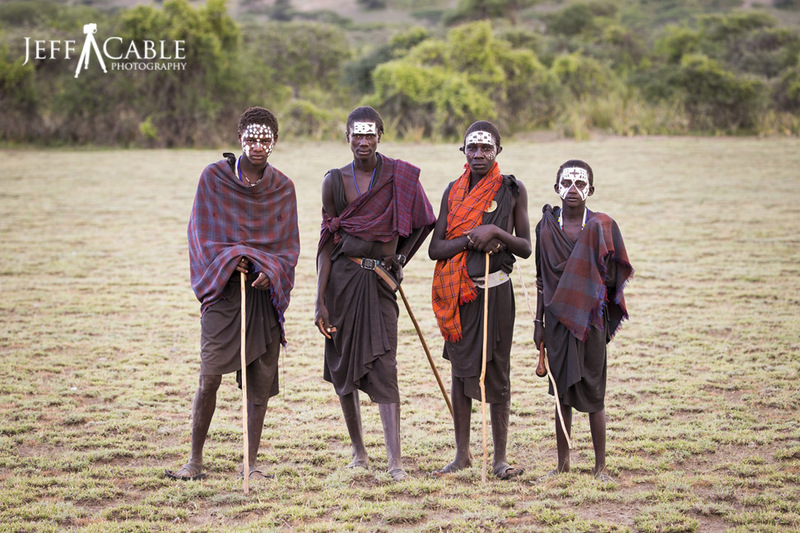 I saw this on the first day of our trip and wondered why some of the younger Maasai boys had their faces painted. It turns out that these boys are circumcised at the age of 13 with no anesthetics, and are not aloud to scream or make any noises. And they do this to some of the girls as well. Yikes! * Canon 16-35mm lens which I brought for landscape shots and long night shots of the sky but rarely used this lens. We did not have very many clear nights. * Extra batteries for both cameras (total of two for each) - I could recharge in the vehicles or in the tents. They always had a recharging station for everyone. * An Arctic Butterfly sensor cleaner to periodically clean my camera's sensor. * Three pair of lightweight safari pants (two of which could convert to shorts) and light weight shirts. I bought these at Bass Pro Shop for a very reasonable price. Almost every place can do laundry (and for very little money), so it is easy to pack light and just clean there. * A couple of hats, since I don't have much hair to protect my head! As for meds, the only thing I had to take was one malaria pill each day. We never really saw any mosquitoes, but I took the pills to be safe. That was the only requirement for the trip. No shots were needed for Tanzania. Well folks, the blog of this safari may be done, but these memories will stay with me forever. And now - the video!! Click the image to view the video larger on YouTube. For those of you who missed this amazing opportunity, we are going to do this amazing safari again next year...check out the site HERE to sign up for the 2017 trip! We have a limit of 12 people. Here we are, Day 10 of our trip to Tanzania, and it was our last full day in the country before making the long flight home. On this day, we drove from our resort into a nearby town to do some much needed shopping. Even though we had all purchased some gifts for family and friends along the way, we wanted to stop at a couple more places where we could do some serious shopping for those who were back home. Our first stop was at a Masai Central market where there were many handmade crafts. The artwork was really great and the prices were very reasonable. These paintings were some of my favorite. I really love the colors and was especially drawn to the pieces in the lower middle of this photo, with the Maasai tribe members standing in different colors. I purchased one of these painted canvases for my wife, and we now have it framed at our house. The Maasai do a lot of bead work, and although I did not buy much of this, I did think it would make a good photo. At one of the stalls, there was a merchant selling these shoes made out of recycled automobile tires. I had seen some of the Maasai wearing these out in the fields, but was intrigued to see them and the man who was cutting the old rubber and making these. This man was making rope. We asked him what material he was using and he told us that it was from a local cactus plant. Here is a photo of one of the local fruit and vegetable vendors. We had seen many vendors selling bananas, but this was the coolest scene, with all these bikes weighted down with large bunches of banana. It is still amazes me that these people can balance and ride these bikes with all that weight behind them. I stood along the side of the road and waited for the banana bikes to come by. I set my Canon 5D Mark III (with 24-70mm lens) to ISO 320, f/7.1, 1/100 sec) to do some motion panning. Keeping my lens trained on the rider, I panned at the exact same speed as they were traveling and got this shot. Here is another motion pan shot of a bike rider. Notice the blurring of the background and the motion in the spokes of the bikes. That is all caused by the slow shutter speed. After doing our shopping, we walked around the area and into one of the nearby banana fields. I saw this nice shaded area and thought that it would be the perfect place for another group shot. Since I had my camera in back-button focus mode, I stepped over to where the photo would be taken, adjusted the settings, pre-focused the camera, zoomed the lens, and then handed the camera to one of our guides to take the photo. In case you are wondering, the settings were ISO 400 (since we were in the shade), f/4 (to make sure everyone was in focus), 1/500 sec (in case our picture taker did not have a steady hand). Once we walked through the banana field and came to the other side, we came across these little kids. We could not resist the photo opportunity. These little guys really enjoyed being our subjects. I love this shot of Joanne showing the kids their photo. Their expressions say it all! I saw this woman walking by and asked her if I could take photo picture. It was not the best lighting, but I really wanted to get a shot of the woman carrying items on her head. These little children were heading to school, and once again, everyone had a good time taking their portraits. As we were getting ready to leave the area, I saw these two men playing checkers. I walked over to them and noticed that they were playing with bottle caps. I had to get a shot of that! We got back to our resort in the afternoon. Upon our return, I walked out onto the balcony of the bar area and took in this scene. It was such a pretty afternoon, with blue skies, puffy white clouds and green plains. Most of the others took a little rest for the afternoon, but Michelle and I decided to take a walk down the hill to get in a little exercise. The resort was nice enough to have one of their young helpers walk with us as a guide. We were not sure what we would see, and really had no expectations. But this ended up being one of the best parts of our trip. We ended up walking all the way down to the gardens where the resort grew all of their produce. It was really fascinating to see all the crops and the way that they got water to the fields. But these best part of all was on our walk back. As we were leaving the resort's gardens, we saw a group of children returning home from school. We ended up walking up the hill at the same time, with them very interested in Michelle and I. I took out my iPhone and captured this video. We were able to communicate with the kids through our young guide and really enjoyed hearing about their lives. They walk many miles each way to school and have a very long day of class. But before school starts, they are all responsible for watering and tending to their own small crop. This chance to mingle with the local kids was just awesome. A couple of them were curious and full of smiles, while one of them was shy and not sure what to make of us. We returned from our long walk and had just enough time to get cleaned up for our last dinner in Africa. But not before doing one last photo class. At 6:30pm, we all met at the resort overlook and took sunset shots. Due to the overcast weather, this was one of the rare sunsets that we had to capture. I gave everyone my advise on photographing sunsets like this, and then once the light had escaped us, I took everyone to the back of the building to learn the best was to photograph the moon. For those of you following along for each post of the African safari, I thank you for joining me on this journey. I hope that each of you got a sense of the beauty and serenity of this amazing country. I have one more blog coming, to sum up the trip and give advice for any of you that might be doing a safari in the near future. Welcome to Day 9 of our safari. This was our last day of being out in the wild, as the next day and a half would be travel back to the city and some much needed shopping for gifts. Even though we had a wet and wild ride to the Hippo pool the day before, we thought that is was worth another trip before making the long drive to our next resort. As we were making our way towards the pool, we saw this large group of female Impala who were hanging out, and following the one male lead. I liked the way that they were all bunched up. I changed the settings of my Canon 1DX to f/11 so that most of the Impala would be in focus. I zoomed the Canon 100-400mm lens to 240mm to fill the frame with all the female Impala. After another 20 minutes of driving, we came to the Hippo pool once again. As the evening before, there were many Hippo hanging out on this morning. Mike was the first person to notice that some of the Hippo would come together, mouth to mouth, and form the shape of a heart. This was the cropped photo I posted on Valentines Day. When looking at my photos from the afternoon before, I noticed that I did not have enough wide shots of the pool, and made sure to get some on this visit. This one large Hippo stood up in the background and I saw that as a great time to get my wide shot. But with all the action happening in front of us, it was hard not to zoom in tight and take more photos like this. After taking a lot of photos of the Hippo, I decided that it was time to try something new. I decided to put on my Tiffen Digital HT Circular Polarizing filter to cut the light coming in to my camera, and try some slow shutter shots. I was walking back to my vehicle to get the filter, when I turned back and saw many of our group taking their shots. I am glad that I took this photo of them, since it shows them in action and also gives you an idea of the shooting environment at the pool. 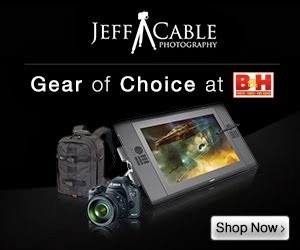 I also decided to grab my Gitzo tripod with Acratech ball head to give me a sturdy platform for the slow shutter shots. This first shot was taken at f/22, with the polarizer essentially turned off, giving me a shutter speed of 1/8 second. I was happy that the front Hippo stayed still, but wanted more motion in the water. For this next shot, I changed the camera to f/25 and achieved 1/5 sec. Good, but still not enough motion in the water. Using the Tiffen HT Circular Polarizing filter at it's full potential, I was able to achieve a slow shutter speed of 1/2 second. Being that we were in morning light with cloud cover, this was not too shabby. And the effect was exactly what I was hoping for. I had good motion in the water, and the other Hippo, but my subject stayed nice and still for that 1/2 second, giving me a nice unique shot. One last big mouth shot before heading out for the long drive across the Serengeti. As we were leaving the Hippo pool, we saw a small group of Baboon along the side of the road. We would have kept driving (since we already had a lot of Baboon photos) but there were more babies. Time to stop once again. This little baby peeked around it's mother and I grabbed this shot. I love the look in this little one's eyes. We were driving across an old stone bridge when our driver stopped and said that we had to wait. It turned out that a Monitor Lizard was crossing in front of us. I waited for it to get to the other side of the bridge and took this photo of the lizard looking back at me. We also saw this Lilac-breasted Roller high atop a nearby tree. Hey look - we came across another pride of Lion, and they were walking along the road. The Lion walked from the road out into the grass. They were heading for this old tree and I was hoping they would climb it. Lucky me, a couple of them climbed up and stood watch up there. Further along the same road, we saw these Elephant off in the distance. I asked our driver if it was possible to drive off road in the mud to get closer to them. Sam said that this should be no problem, so off we went. I asked Sam to stop to give us this shot. I really liked the adult and baby Elephant in the foreground with the large rocks in the background. In case you are wondering how close we got to the wild animals in Africa, check out this photo. This large Elephant walked right by one of our Land Cruisers and started throwing mud onto it's back. You can see all the mud flying in the air behind Tina and Mike. I think that Mike's smile says it all! At one point, the baby decided to lay down and take a rest. The adult Elephant came by and used it's trunk to get it back up again. We all enjoyed this show. We got about half way across the Serengeti and stopped for lunch at the park exit. While hanging out and getting ready to have a bite to eat, I saw these Agama lizard and was amazed by their colors. I figured that lunch could wait, and grabbed the camera to photograph these beautiful little guys. And then after lunch, I continued my quest to get a nice shot of the male Agama. This guy was at the top of this rock, checking out me and my camera gear, and so I took his portrait. Continuing on our long drive, we saw many more Zebra in their common stance, watching in both directions. We ended up back at the overlook over the Ngorongoro Crater. The weather was very different from our previous visit to this location. But it was a good chance to get some portraits of ourselves in this iconic spot. Stay tuned for the blog of Day 10 - our last day in Tanzania.